It wasn’t long ago that a column that appeared on NBA.com suggested the Clippers players didn’t like one another. The Clippers since that time have shipped out four players and brought in two; the sequence of moves began Jan. 7. Gone are Chris Douglas-Roberts, Jared Cunningham, Jordan Farmar and Reggie Bullock and now here are Austin Rivers and Dahntay Jones. With the spirt of the team seemingly at a season-high, Chris Paul was asked Saturday if the chemistry has improved since the moves have been made. He was very careful with this touchy subject. The Clippers are 6-2 since Jan. 7. The Clippers on Dec. 29 will host a “Dedicated Awareness Night” when they take on the Utah Jazz at Staples Center. It’s part of the Clippers and Children’s Hospital of Los Angeles’ effort to raise funds for Children’s Hospital’s Helping Hands Fund, which uses the proceeds to support lifesaving care for every child treated, even if the child’s family can’t afford to pay the bill. Clippers Jordan Farmar, Spencer Hawes and Chris Douglas-Roberts and broadcaster Ralph Lawler on Dec. 5 spent some time visiting patients at Children’s Hospital. “For us to be able to come to Children’s Hospital Los Angeles and spend some time with these kids, play some games, share some stories, exchange some laughs – especially around the holiday season – it makes it really special,” Farmar said. Donations can be made by visiting www.chla.org/clippers or by participating in the team’s online auction at www.clippers.com. – The Clippers are still having head-scratching lapses of focus. There they were, coming off two consecutive road losses and they were down by nine points to the lowly Pistons in the first quarter. Then they get tuned in and eveutally lead by as many as 27 points early in the fourth quarter. Kind of a Dr. Jekyll and Mr. Hyde team at times. – Jamal Crawford was 0 of 6 from the field. But ever the consummate professional, Crawford made all five of his free throws, doled out seven assists and made a steal while committing just one tunover in nearly 28 minutes of action. 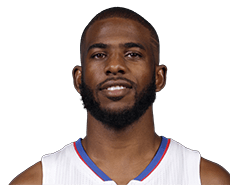 – Although Chris Paul did not have a terrific game from a scoring standpoing – he scored 11 points, well under his 17.4 average – he had only one turnover in 24 minutes. That was on the heels of him having six turnovers in each of his two previous games – losses at Washington and Milwaukee. 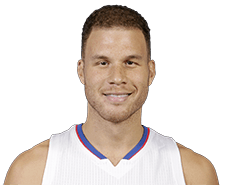 – Jordan Farmar picked a terrific time to have his best game as a member of the Clippers. He made his first five shots and scored 15 points with five assists in 23 minutes off the bench. This was key because backup post Spencer Hawes and his offense was out for the second consecutive game because of a bruised left knee, and because Crawford did not provide his usual offensive punch off the bench. – The Clippers also got nice bench play from the likes of Glen “Big Baby” Davis, Chris Douglas-Roberts and Hedo Turkoglu. They scored a combined 23 points on 9 of 13 shooting. Davis was 4 of 5 from the field for eight points with four rebounds, two assists and three steals. Everyone on the Clippers seems to like Chris Douglas-Roberts. From his cool hairdo do his short shorts, he’s a favorite on the team. Coach Doc Rivers likes him, too, especially when he’s playing defense the way he did in crunch-time in Wednesday’s 108-105 victory over the Phoenix Suns at Staples Center. Green scored 23 points off the bench for the Suns. 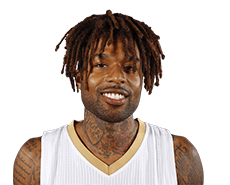 Chris Douglas-Roberts sat out Saturday’s 104-93 loss to Denver at Mandalay Bay in Las Vegas with an ankle sprain, according to a report on Clippers.com. Douglas-Roberts is vying for the starting spot at small forward. 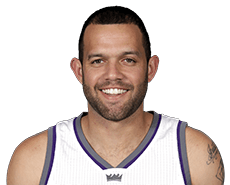 Also, backup guard Jordan Farmar had some back issues during the game and played only seven minutes. And, backup post Glen “Big Baby” Davis missed his second consecutive game with a right groin strain. Coach Doc Rivers isn’t sure of the timetable for his return. He said Friday that Davis may be OK by the beginning of the regular season Oct. 30, but that he may not be in playing shape. The Clippers, now 1-4, play their next exhibition game Tuesday at Golden State.(4-1). The Clippers are now 0-3 in exhibition play after the Utah Jazz defeated them 102-89 on Monday night in Utah. Down by 17 (56-39) at halftime, the Clippers outscored the Jazz 35-25 in the third quarter to pull within 81-74 entering the fourth. Utah outscored the Clippers 21-15 in the final quarter and is now 3-0. Blake Griffin led everyone with 31 points. He was 14 of 22 from the field, and also pulled down five rebounds and made two steals. J.J. Redick scored 17 points. Chris Paul had 11 points and 11 assists, but his points came at the expense of a 4-for-13 shooting night. Spencer Hawes scored six points on 2 of 7 shooting with three rebounds in 19 minutes, and Jordan Farmar had five points on 2 of 6 shooting in 16 minutes; Farmar also had three of the team’s eight turnovers. C.J. Wilcox (0-for-3) and Reggie Bullock (0-for-4) went a combined 0-for-7 from the field; each played 16 minutes. Chris Douglas-Roberts started as part of a three-guard Clippers starting lineup. He scored just four points on 1 of 5 shooting in 31 minutes. The Jazz had six players score in double figures. Leading the way were Trey Burke and Derrick Favors, with 16 and 15 points, respectively. The Clippers shot 42 percent from the field, Utah shot 50.6 percent. The Clippers next will play host to Utah on Friday at Staples Center.